The Next Regular Meeting of the Port of Orcas Commission is scheduled for Thursday, May 9th, 2019 at 4:30 PM at Airport Conference Room. Large Hangar for Rent at KORS. Measuring 76’ Wide by 60’ Deep, the hangar has a bi-fold door with a clear opening of 70’Wide by 20’ High. The hangar is insulated and dry-walled inside. There is a large ramp in front of the hangar and it has easy access to the airport “through the fence” (although it is inside the airport wildlife fence). Electricity for occasional use is included in the rent on a common meter with the adjoining house (not included in lease). Rent is $2,000/mo. 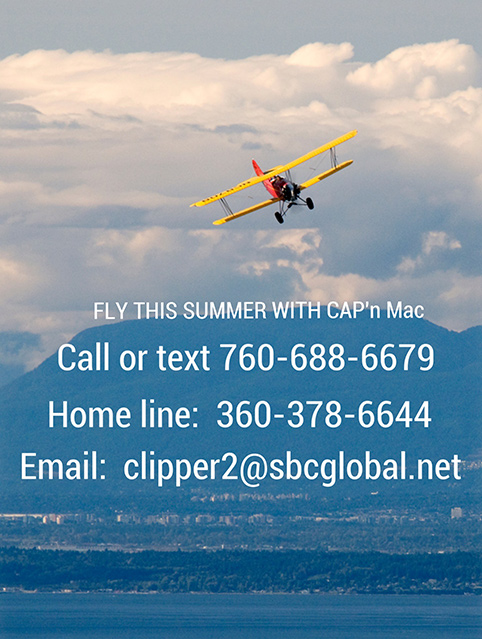 Pilots – This last summer saw a modest increase in both formal and informal noise complaints. Please avoid (a) arrivals at low altitude or (b) early turns to climb out … that overfly Fowler’s Cove (the old log dump, Indralaya, etc. ), Crow Valley, or Cascade Lake/the Highlands below 1,500’ AGL. The brochure is perhaps unrealistic in expecting no flight through Crow Valley, but would ask you to avoid doing so at low altitude (i.e. deviate towards the gravel pit instead of direct to Crescent Beach or Indian Island to/from West Sound). For more information regarding the Airport Master Plan click here. PRESS RELEASE: Orcas Island Airport Improvements to Meet Air Safety Requirements While Minimizing Undesirable Effects on the Local Community. 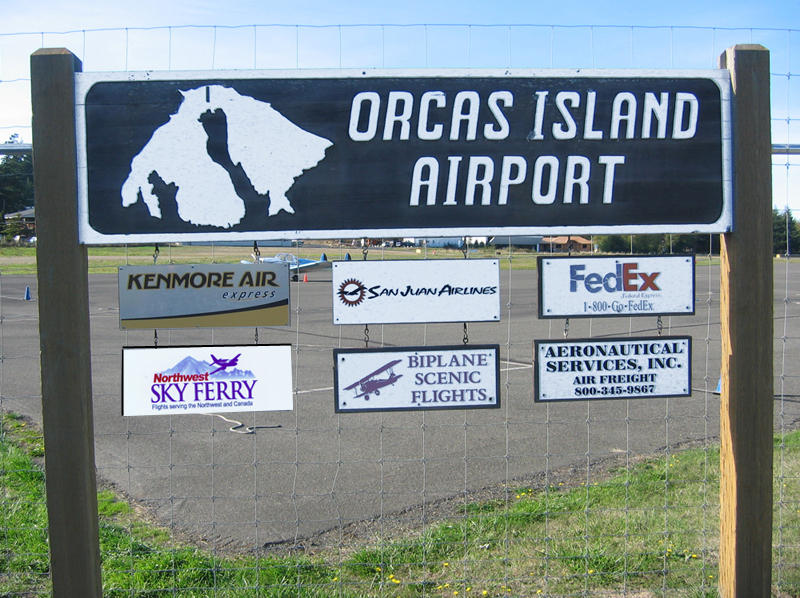 The Orcas Island Airport master plan will present the short-, mid-, and long-term needs for the airport. After the plan is completed an environmental document must be prepared to comply with State and Federal environmental regulations. Based on conversations with the FAA, it is anticipated that the projects may require an Environmental Impact Statement, which is the most extensive federal regulatory process. The intent of the master planning process is to obtain information on the desires of the community and of those most affected by the airport. The master planning process seeks to identify the present and future needs of the community for its airport and ability to meet FAA standards and to suggest reasonable methods for meeting those objectives. The FAA requires that the Airport document a plan to guide future operations. 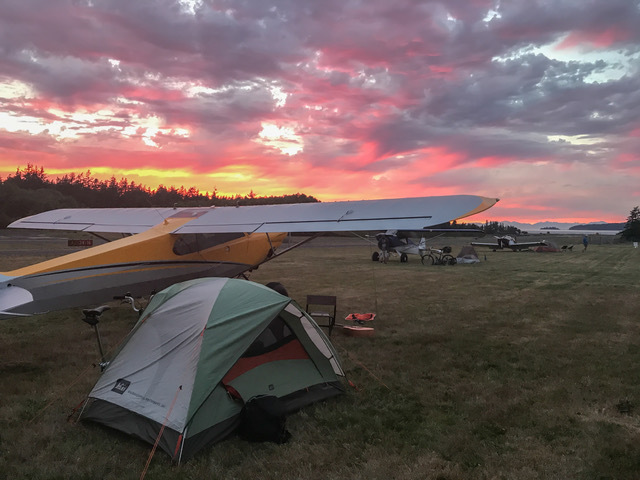 In its present configuration, Orcas Island Airport does not meet the safety standards required to service aircraft currently using the airport such as the Cessna 208B Caravan. 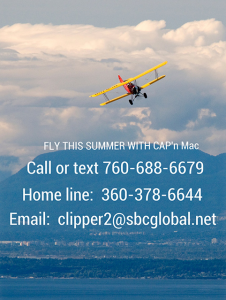 Cessna Caravan operations make up a large and significant share of the air traffic serving Orcas Island. Operators of regularly scheduled passenger and cargo flights to the island fly the Caravan because of its safety, dependability, and efficiency over the routes they commonly fly. In developing alternatives that will bring Orcas Island Airport into compliance with operations already being conducted there, every attempt has been made to make the best use of existing airport property and facilities while minimizing the undesirable effects it may have on its neighbors. While several alternatives have been proposed to comply with current safety standards while meeting the needs of the community, none of those alternatives includes any expansion of the airport to serve airplanes larger than those that have already been operating there for years. No such expansion has been planned or contemplated. Since January of this year, two open-house public meetings have been held locally to solicit input from the community regarding its desires for the airport. The comment period is being extended through August 3, 2018 to allow for additional input regarding the preferred development plan. To eliminate confusion regarding the alternative options, additional information will be provided on the project website ( http://www.portoforcas.com/master-plan/ ) and to the project contact list by July 16, 2018 to better explain FAA requirements and safety standards and to explain the alternative options. All comments received by August 3, 2018 will be considered in development of the preferred alternative. A public open house will be held in September for the public to review and comment on the preferred alternative. Your camping view may vary! Hangar 16 may be available for rent. It is approximately 48×48. Contact Andre Souang at andre@sabinefinancialservices.com or 360-472-0473. If you need a quart of oil (or 12) at Orcas, you can now buy it from your friendly airport manager. We have bikes for use free of charge near the fuel pumps. The last 4 of our CTAF will open the lock. Please take the lock with you and use it…and bring the bike and the lock back. If you like these bikes, donations are accepted in the fee boxes or the Port office. We don’t have helmets but encourage you to use one. I put this here because I think some visitors to this website might appreciate a “cut-down” version of the ferry schedule that can be read easily on a phone. This is why I started making it in the first place. — We now have a small 12/24V GPU (with both alligator clamps and a NATO plug) for “jump-starting” an airplane. Stop by or call the office when needed. After hours, call the Airport Manager’s Cell phone (the number is on my business card which is in a dispenser by the conference room door). Based on the limitations of our insurance, use is at your own risk. A recent visitor’s trip report — you can’t buy a review like this! If you have airport pictures you would be willing to share, please email them to me at orcasairport@rockisland.com.